As someone who spends a good 1/3 of her year in a different culture from her own, I have always enjoyed learning from others and bringing what I can to them. In the last few years, I have spent a significant amount of time in a particularly booming country, India. ADR is on the rise and outstanding lawyers are needed like never before to solve (and prevent) the backlog of legal cases. As everywhere in the world, there are too many lawyers (or maybe even more than in other places, given that India produces 1/4 of my home capital’s total population in law graduates ANNUALLY!). And as anywhere in the world, law firms consistently complain about how hard it is to find good people. In the last few years of working with some truly outstanding young Indian lawyers and law students, it took me a while to wrap my head around a deeply culturally rooted phenomenon that, IMHO, is holding students back from becoming top performers in their field. 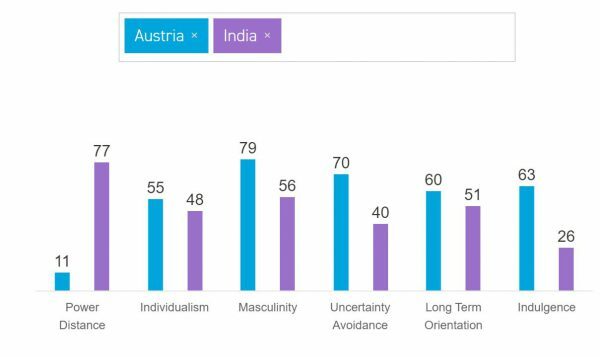 When you go to www.hofstede-insights.com and select a country, it will give you a comparative scale to measure cultural values such as individualism, indulgence, masculinity etc. While I am personally most entertained by the “Uncertainty Avoidance” column (yes, I do need to have everything planned out exactly all the time) the column I want to highlight for you is the first one, “Power Distance”. Culture as a career killer? Now, this isn’t only an Indian cultural phenomenon, but allow me to use it as an example for many cultures with high Power Distance scores. Students from India are some of the brightest, most talented, most driven students in the world. I can give you my word for this. They outdo whole other continents in mediation competitions, negotiation tournaments, even admissions into top schools and scholarships (and all that while having less coaching and training than most others!). BUT, no offense, they are very, very hard to employ! And the reason is in the above analysis. A society that scores high on Power Distance teaches you “to depend on the boss for direction” and to “expect to be directed clearly”. And that is an absolute no-go attitude for anyone who wants to work in a top position and make a career! Coincidentally, the same morning I saw this study, I met a dear friend who runs a very successful litigation practice. An NLS and HLS graduate (sorry, “pass-out”) himself, he hires only from the top school in the country. Yet he shared the same frustration: “I don’t have the time to spoon feed them everything, they need to be proactive, figure out things for themselves, be self-directed and independent, its hard to find someone like that”. My message to students from any of the high Power Distance countries (and all others who might carry a similar attitude) is this: You need to get out of that shell that’s being given to you! You need to stop following the herd like a sheep! You need to go against the stream and develop your own thinking! I might be tough to go against the flow when you’re at the bottom of the hierarchy, I understand. But if you really want to get to the top, you have to stand out, you cannot allow yourself to become “vanilla”! Save me, share me, download me, print me – do what you need to do to never forget! Having said all that, what can you do? First, stop feeling like a victim and accept that you are in charge to change the way you act, work and think. To make the transition easier, here is a list of five attitudes that, if you follow them, will be a game changer for your career. Break the habit of constantly relying on other people and learn to apply your own mind! Critically question and challenge common assumptions and acquire a habit of building your own knowledge and opinion on matters by looking beyond the book covers, researching and getting different perspectives. You can start this by questioning what your being told to do for instance and figuring out the ‘why’ behind a task or challenge. Always think 2 steps ahead. Be proactive about your career and projects. Plan ahead to get ahead. Create mind maps, post-it to do’s, personal journals with short-term and long-term checkboxes that will help you get there quicker! With no goal in mind, you will never go as far as with having one! People will always tell you what you cannot do. Don’t listen to them! On your way to the top, many people will be challenged (read also: afraid, insecure, overwhelmed)by your big goals. Don’t let them stop you but keep pushing and try to surround yourself with other “can-do” people. You will find that successful people will NEVER laugh at your big dreams or be amused by where you want to reach someday. Never say “I don’t know how to do this” (in fact, when I interview someone and they say that to me, this is goodbye). You are the generation that will need to put up with the fastest changing knowledge and technology this world has ever seen. By the time you are done with your education, what you have learned is likely to be already outdated. Only those who can adapt and keep educating themselves will stay relevant. I swear to you if you miss this, your career is dead. So don’t ever tell me you don’t know how to do something I ask you to do. Go and figure it out. Anything can be learned online nowadays, if only you want to! This is a bonus one, because if you have that down you are racing ahead of 99% of people. Think of it this way: How many people do you know who do 100% of what’s expected from them? Without cutting corners? Without finding shortcuts? Pretty few, hah?! Same here! Now think of how many people go an extra mile and consistently deliver more than what’s expected of them? Negligible! 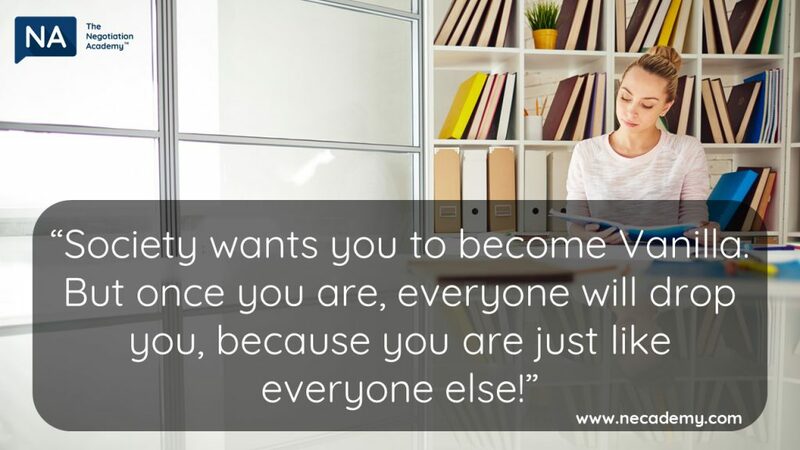 Be one of them and make yourself irreplaceable! If your country scores high on Power Distance, I want you to print these 5 attitude changers and stick them on your fridge, door, mirror, TV, monitor or wherever you see them daily. And then ask yourself religiously, every evening, if you have followed them today. No matter what you do, what your background is, who you are or where you want to go, I promise these will change your life. PS: If your goal is to get to a top LLM program or bag a prestigious scholarship and you’re stuck on “Think Ahead”, check out our new course on How to Get to Harvard, Fulbright and the most prestigious programs in the World which walks you through the planning to preparation to execution step by step.